Well I finally got around to converting the 10" using this method, in the meantime I had done a temporary conversion using another method, and with the limited time I had I was spending it playing the drums rather than take time to do a conversion. So anyway, after trying first with 2, I ended up using 3 layers of 5mm foam underneath the sensor pad instead of 2 layers for the 12". This conversion works fine for the 10". Thanks again for this fantastic conversion Gerdy. thank you very much for your „success report“. In January we both were talking about a “foam formula” and now you are using a conversion method designated for the 12” pads for your 10” pads. Bluearan.co.uk, and the product code is ADH019505. I read about your very good deal with the 12” pad you made inside your other post. And the info about the foam, available in U.K., is fantastic. Thank you very much. Please let me ask you about the purchased 12” pad. Alesis is selling different 12” pads. The 12” pads that are coming with “Pro kits” are like the 8” and 10” pads. As far as I know only the 12” pads coming with the X kit are different and have the notch at the bottom. If your pad has the notch then this mod is the right one. If not then you can do the “regular” Hellfire Mesh mod. I updated the first page now with that picture. Please forgive me if it wasn't clear enough. I recieved my foam and mesh head ok and carried out the mod exactly as described. When I tested it I had a lot of COLD spots where the triggering was low or intermittent. This turned out to be due to insufficient contact with the drum head. I noticed that the Z-ED twin ply head I am using is a little deeper than the Alesis mylar head. I took the pad apart, took out the two lower 5mm foams and put the original foam back, put the 5mm top piece of foam on top of the reflector plate, and checked it was sitting about 5-6mm higher than before, put the mesh head on, fitted the clamping ring and evenly tightened it all up and hey presto! it works perfectly!!! It seems there is some variation between heads of different makes so if you do the mod and have this problem its easily fixed. The feel is so much better with the mesh head, that extra 5mm foam works wonders, so much quieter too!! P.S- Ive got loads of the foam left over so if anyone in the uk needs some Pm me, and if you send a large (A4 or A3) envelope with stamps to cover the return postage I will give you enough to do the job until i run out of it. thank you very much for your “success report” and for sharing how you made it. And your additional offer is a real comradeship act. 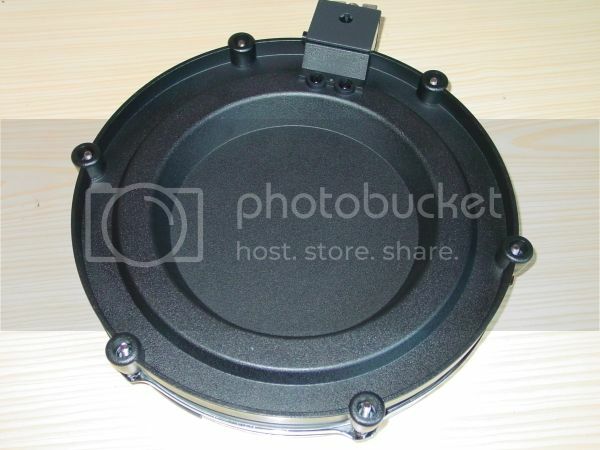 hi all, can i apply this mesh head conversion to 10" and 8" pad?.. Hi, before you do it see my later post.....12" snare mesh head/xtalk conversion, it will save you a lot of frustration. The other pads are different and there are lots of posts on how to do it, but if you follow the hellfire conversion instructions EXACTLY it will work fine. but yours seem DIY without those soldering. since my dm10 still new, im afraid to those things scared it was for nothing. 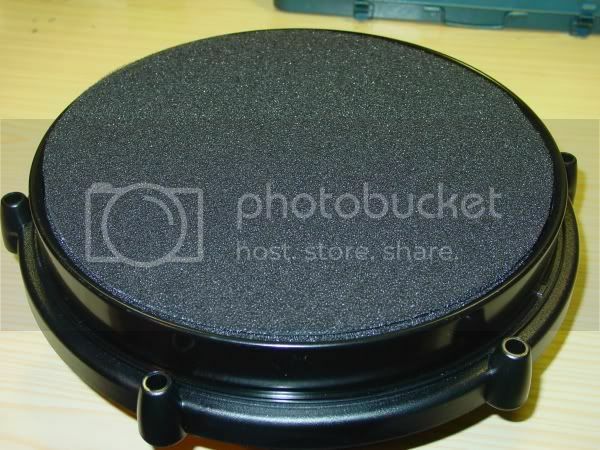 Do you recommend me to do this mesh conversion to my 8" and 10" pad? The 12" pad is different from the 8 & 10". it is possible to do the hellfire mod without soldering if you carefully stretch the lower foam over the reflection plate. There really is no reason why you cannot cut a slit in the foem to make it easier to get on and off, as once its all back in the shell any gap is closed up. Two things to be aware of, be VERY carefull not to put strain on the wires that go to the sensor, and also, check if the resistors are fitted, they need to be removed. If you find you have a little printed circuit board soldered directly to the socket it will be need to be removed and the sensor wires soldered directly to the socket. my other post has photo's of how to do it. The mesh head conversion really is worth doing, and although I appreciate your reluctance to alter the soldering because it is new, there is not much likelyhood of having a warranty issue with the heads. I converted all of mine in the first week, never had an issue! One last thing, when you open up your pad, check to see if some of the glue used on the reflection plate has formed a long drip and stuck to the foam or base, remove it if it has as it can cause increased crosstalk. I've been interested in converting my DM10X 12" pads to mesh for some time, but having a hard time picking an exact formula to try. Using Gerdy's method as a bench mark and after reading all the posts, it seemed like a 3/8" - 3/8" sandwich would be a great option. That's 9.53mm on the top and 9.53mm on the bottom of the plate for a total of 19mm. Gerdy uses 5mm on top and 10mm on the bottom in his formula for a total of 15mm. Those who are using 1/4" are ending up with 6.35mm on top and 12.7mm on the bottom for a total of 19.05mm. I found the below resource that offers the regular charcoal foam in a variety of thicknesses, including 3/8". I also noticed they have the white foam similar to that found in the 8" and 10" pads. I guess the possibilities are endless!!! Any comments before I decide to order? Speaker foam, but 12mm... Will need to ask if they can order 5mm. But that's "hard" (as in, can withstand weights for a longer period) and I'm guessing too dense to transmit subtle hits. In efforts to try to track down the correct foam here in the US, I haven't been able to pinpoint the exact type of foam that you used from Adam Hall. Was curious to know if you knew what the material was made from (polyester or polyurethane) and what was the PPI (Pores Per Inch)? DM10X, Trigger I/O, Billy Blast II Ballistech Heads, Dampened Rack, Custom Tennis Ball Isolation Riser, Simmons DA200S, Scarlett 2i2, Roland BT-1, Pintech Dingbats x2, DW 3000 Double Pedal, Extra Alesis Ride, Additional Alesis Crash cymbals, Roc-n-Soc Drum Throne. Why not simply add the 5mm foam directly above the plate, slightly increasing sensitivity and leave the factory foam alone? Wouldn't it only affect the amount of tension needed - in this case a little "less" than what Gerdy had on his conversion? all this is getting confusing! i have ordered mesh heads from 682 drums, (been waiting almost 2 weeks!) in anticipation of the conversion i have boutght enough foam for the heads i have a dm10 X kit. i bought 3mm black foam from hobby lobby. now im thinking did i get the right thickness? and i might be wrong but when i opened up my 12 inch snare mine didn't look like any i've seen in the pictures and videos! 3mm funky foam will work. If you need to use more than 1 layer of it it will still work alright. Some of the foam arrangements and colors vary in these pads. Even the material of the shell varies but there should be different threads here with pictures to find what is similar to yours. It's nothing to get too concerned over. Just be careful to not break wires or throw away any foam pieces you may cut out. That way you can always go back to mylar heads if need be. If anything post some pics of your pad and foam disassembled and I'm sure someone can steer you in the right direction. The heads take awhile to arrive as they have to clear customs. When using a CD to make your center hole in the foam, it is slightly smaller than the resonator plate which might cause some issues. I ended up using the base of a blank CD holder (the one with the center spindle), which by nature, is larger than a CD and worked PERFECTLY!!! Clears the resonator with just a little extra room. Added a 5mm Adam Hall layer on top of the trigger plate. Left the original foam below the trigger plate as is. I noticed that two 5mm layers are thinner than the original foam... So I didn't bother to replace it since it's got the right dimensions and sufficient thickness. Also works great by the way. i converted from the 682 drums cones (and heads) to this method and I wish i didnt waste my money on the cones. they do have a few things i liked about them, how the drum was more sensitive towards the center, but the loud thwak sound you got when you hit the middle was annoying me so i ordered from THI and I cant believe how quiet the heads are now. I'd say going from mylar to cone method with mylar being a 10 on the noise scale, the cones were about a 6 and Gerdy's method made them around a 3, i did lose the bit of realistic sensitivity as you moved towards center, but I'll get used to it. Now if i can only get my hi-hat to work more like a real one i'll be 110% happy with my whole kit. DM10x with IO trigger. with some surges thrown in for fun. Try setting the sensitivity of the rim to zero and try again. Dial in the correct sensitivity for the head. Raise the rim sensitivity back up to normal levels. You may have to raise the zone xtalk. Would it be worth adding an extra piece of foam at the bottom or should i add a piece of funky foam(the same as the resonator plate)? It doesn't seem to be THAT lower down, it probably is the same, but i just wanna be safe I'v not got the mesh heads yet so i'v not tested what its like the way its sitting at the moment. 1 more piece of funky foam on the bottom couldn't hurt and will raise it about 1/8".